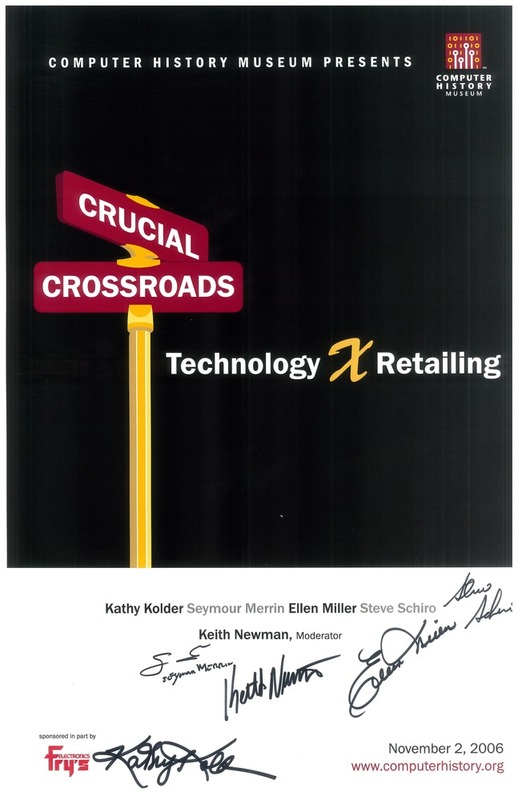 Poster for CHM Lecture with Kathy Kolder, Seymour Merrin, Ellen Miller, Steve Schiro, and Keith Newman, Moderator, held on November 2, 2006. Poster shows an illustration of a street sign with "Crucial" and "Crossroads" written on the signs, against a black background. Signed by speakers.